Today in labor history: King writes famous "Letter from Birmingham Jail"
On April 16, 1963, the Rev. Martin Luther King Jr., imprisoned in Alabama for protesting segregation, wrote his powerful and eloquent “Letter from Birmingham Jail,” answering “white moderate” ministers and their criticisms of him, the civil rights movement and its nonviolent direct action tactics. 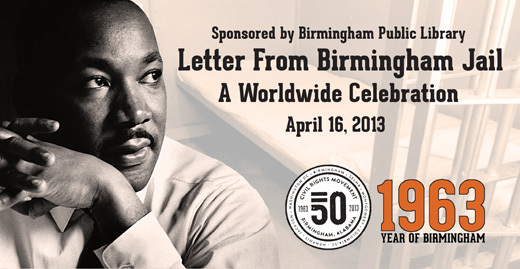 2013 marks the 50th anniversary of the letter and the courageous campaign to end segregation in Birmingham. Birmingham, Ala., was the scene of viciously and violently enforced racial segregation and oppression, the public face of which was the city’s chief of police, Bull Connor. Initiated and led by the brave and indomitable the Rev. Fred Shuttlesworth, the Southern Christian Leadership Conference began “Project C” in September 1962, which aimed through a “campaign of marches, boycotts and sit-ins demanding desegregation of lunch counters, drinking fountains and restrooms; an end to discrimination in hiring and promotion at Birmingham stores” and to desegregate public schools, parks and other recreational facilities. In April, King and other national SCLC leaders went to Alabama to join Shuttlesworth in the project’s formal launch. 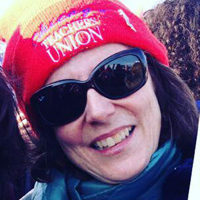 King was arrested on April 12 as part of the plan. He was put in solitary confinement. After reading an ad placed in a Birmingham newspaper by eight white ministers criticizing King as a “troublemaker,” the civil rights leader penned his enduring polemic for the right of African Americans and other oppressed peoples to demand (and win) their freedom. “We have waited for more than 340 years for our constitutional and God given rights. The nations of Asia and Africa are moving with jetlike speed toward gaining political independence, but we still creep at horse and buggy pace toward gaining a cup of coffee at a lunch counter,” he wrote in the newspaper’s margins and on a roll of toilet paper. The letter was published in newspapers nationally and became a “key text” for the growing civil rights movement. Referencing Socrates, Jesus and St. Augustine, King argues that people have a moral responsibility to disobey – and change – unjust laws. “Moreover, I am cognizant of the interrelatedness of all communities and states. I cannot sit idly by in Atlanta and not be concerned about what happens in Birmingham. Injustice anywhere is a threat to justice everywhere. We are caught in an inescapable network of mutuality, tied in a single garment of destiny. Whatever affects one directly, affects all indirectly. Never again can we afford to live with the narrow, provincial ‘outside agitator’ idea. Anyone who lives inside the United States can never be considered an outsider anywhere within its bounds. Following that moral argument, today’s civil rights leaders are campaigning for immigrant rights and just, comprehensive immigration reform, protesting anti-immigrant laws including in Alabama. In May 1963, Black children of Birmingham heroically faced police dogs and fire hoses during one of the most famous parts of the civil rights campaign, the Children’s March. Images of the violence unleashed on the school children were broadcast on national television. The actions marked a turning point in the civil rights movement. But the violence and racism continued with horrifying results. On Sunday, Sept. 15, 1963, terrorists bombed the 16th Street Baptist Church, killing four young girls, Addie Mae Collins, Cynthia Wesley, Denise McNair and Carole Robertson. Fiftieth anniversary commemorations are taking place throughout the year.